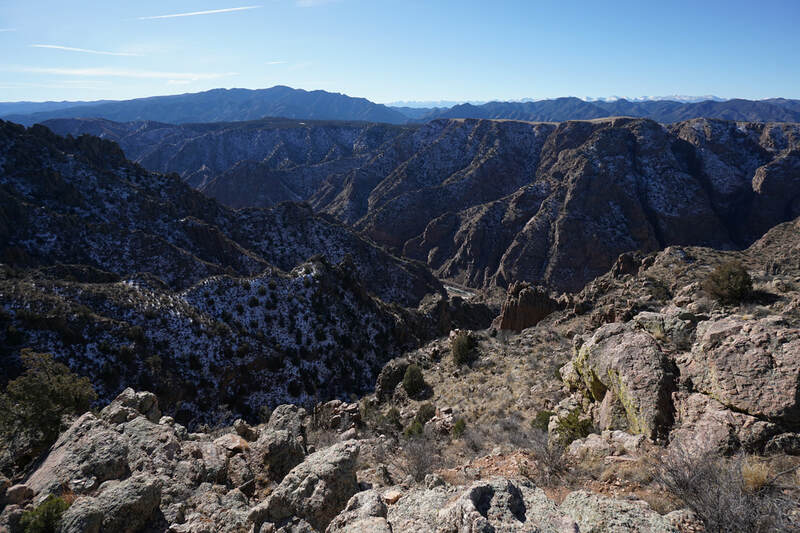 DIRECTIONS: From Cañon City, head west on route 50 following signs to Royal Gorge Bridge. 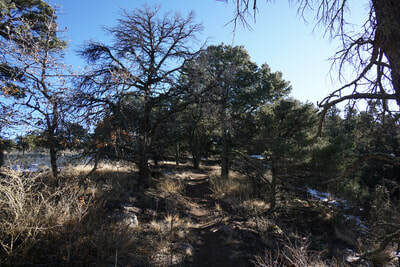 Turn south (left) on County Road 3A for 3.5 miles to the rest area and trailhead. The rest area with picnic tables, pit toilets, and parking is on the left and the trailhead is on the right. The Royal Gorge Bridge and Park is one of Colorado's biggest tourist attractions and for that reason I've avoided it for over a decade of living in Colorado. 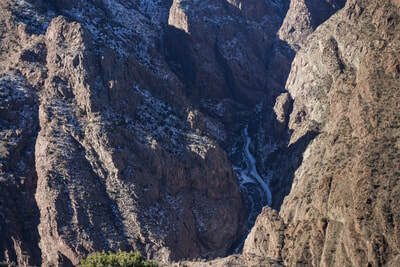 That being said, I've seen the Gorge from airplanes and photos and knew it was a spectacular natural resource. When I was looking for an interesting day trip during the winter break and saw the 58 degree temperature (versus 19 in Denver), I decided to finally give the Royal Gorge a try. 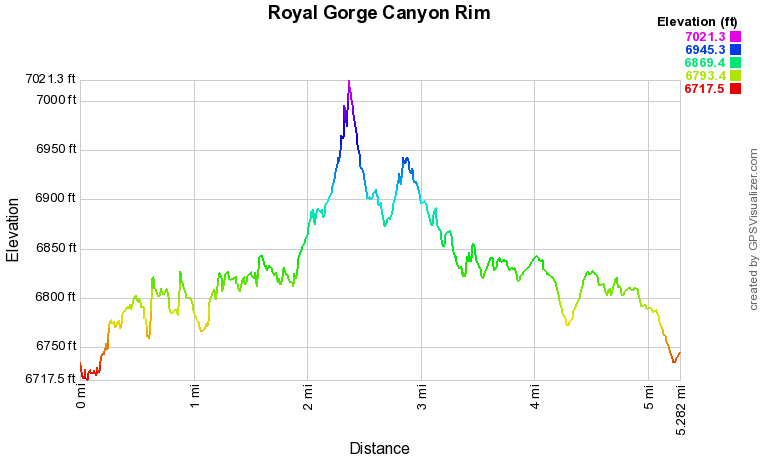 If you want to visit the Gorge but don't want to deal with the long lines of car traffic, go in December. 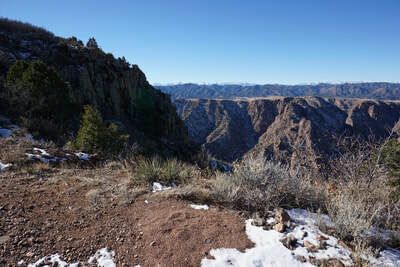 As suspected, the Gorge is incredible and exploring the rim is a wonderful way to get up close and personal with one of Colorado's grandest canyons. 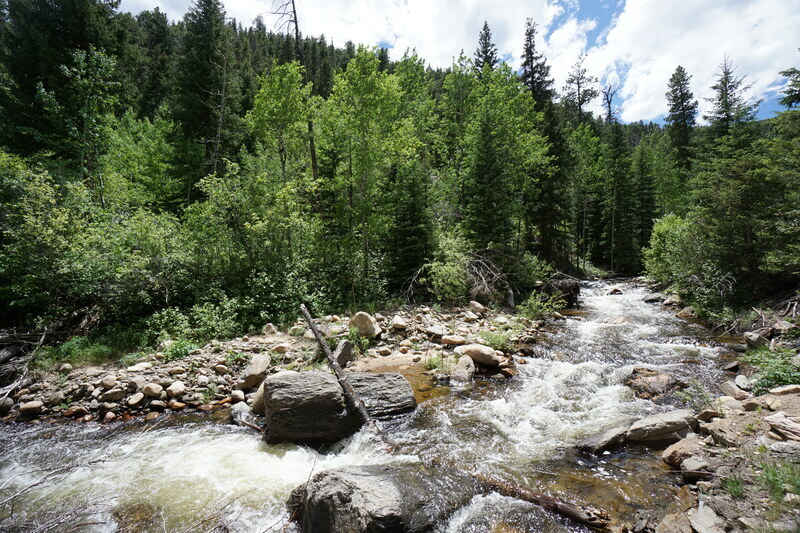 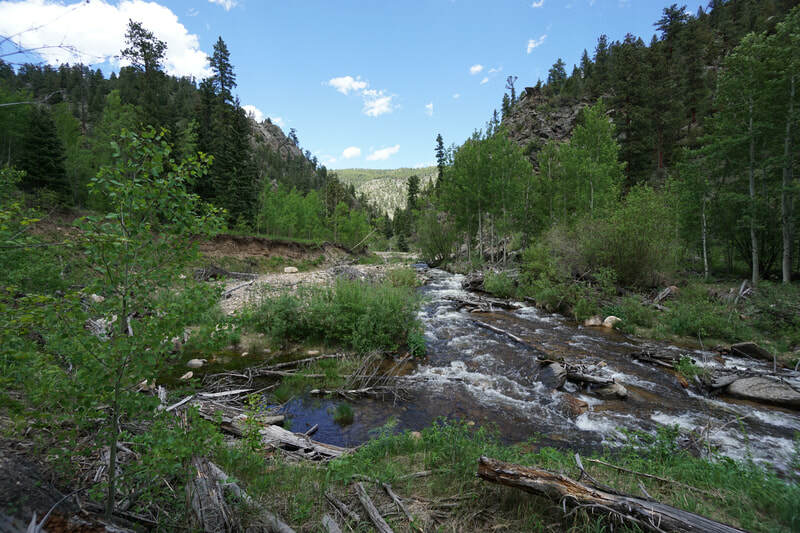 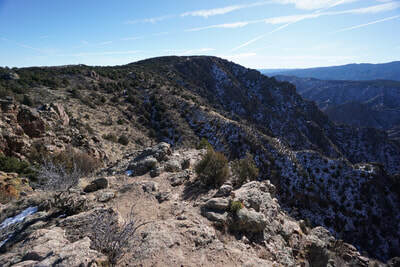 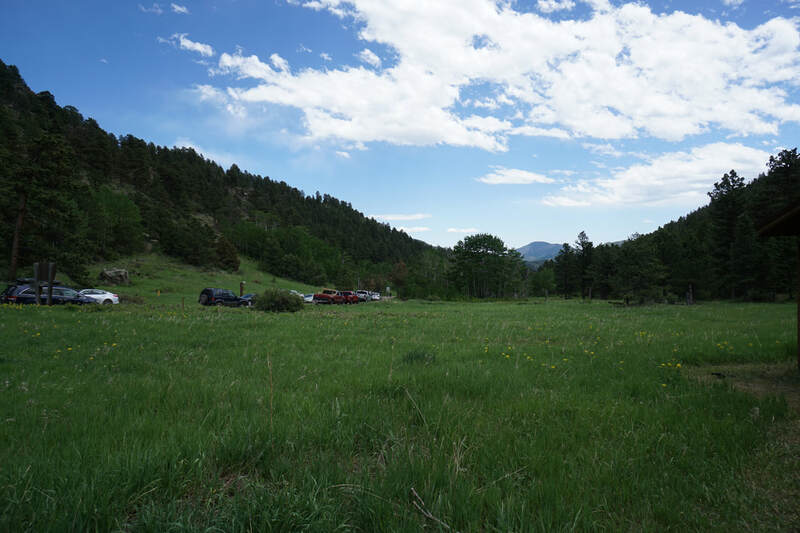 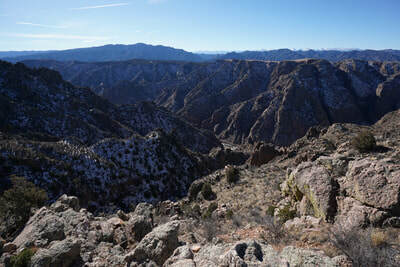 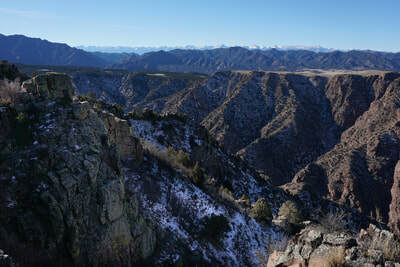 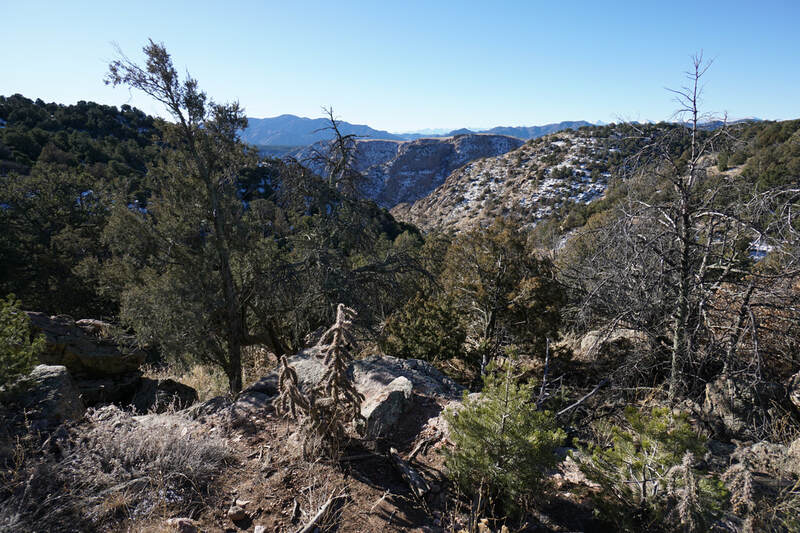 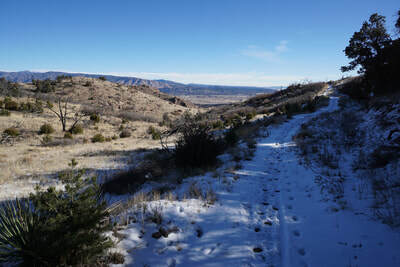 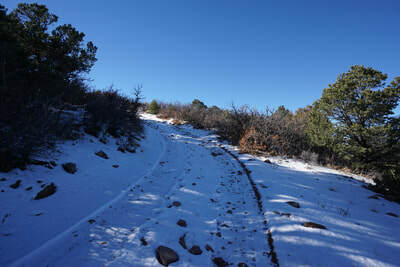 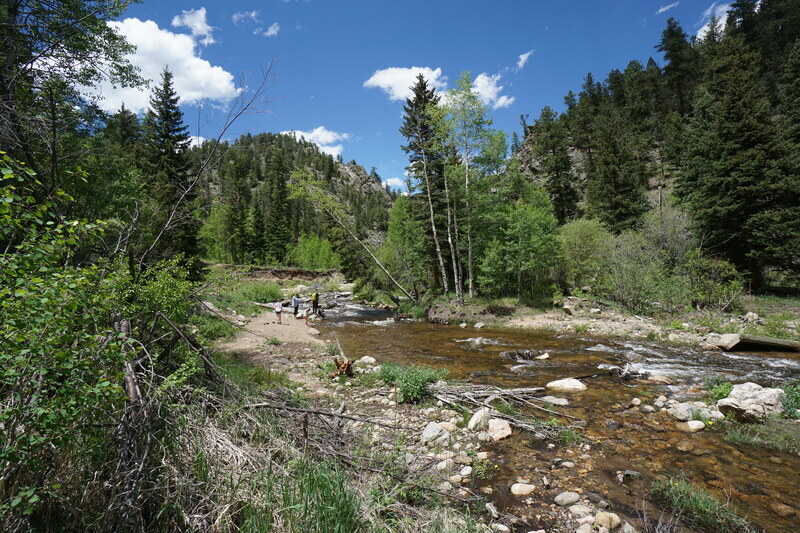 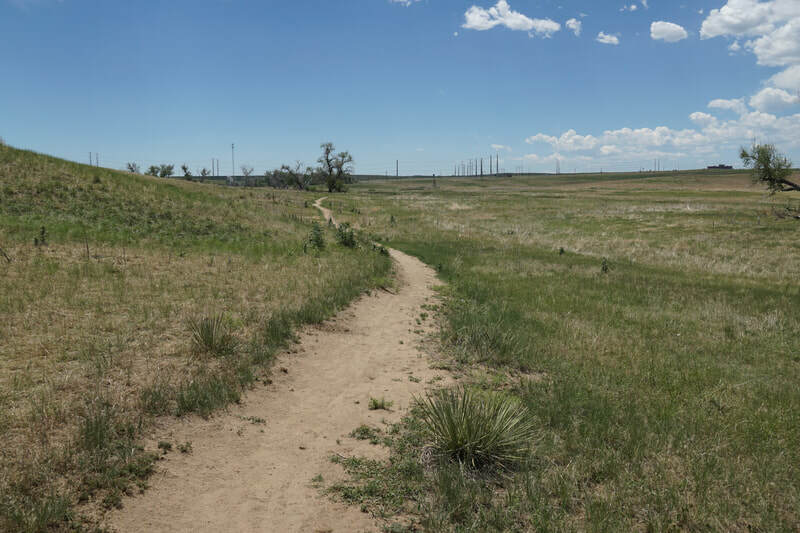 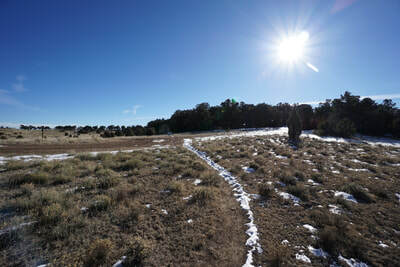 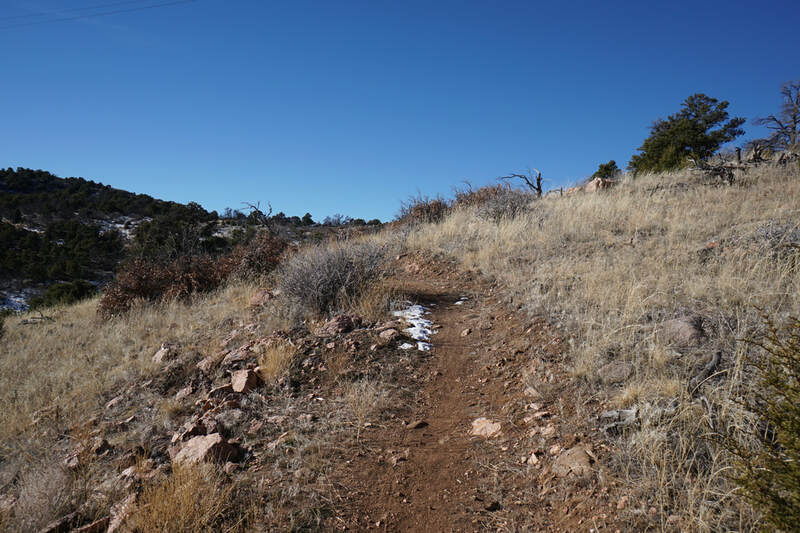 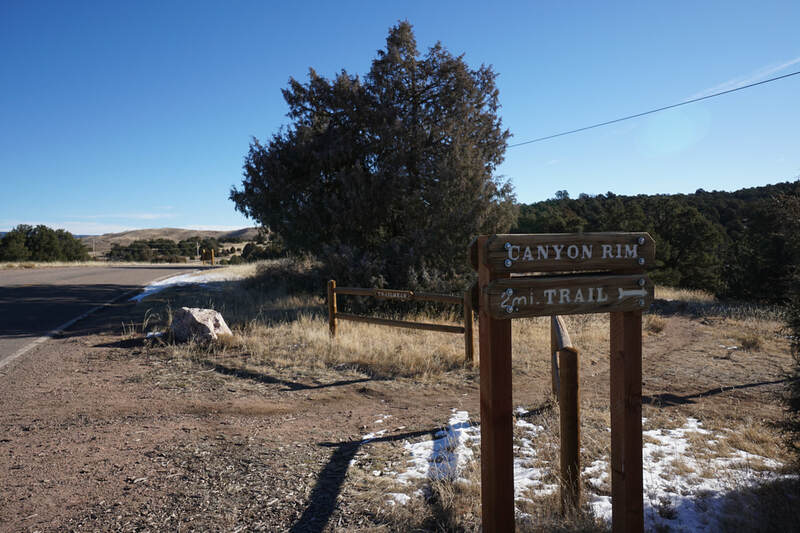 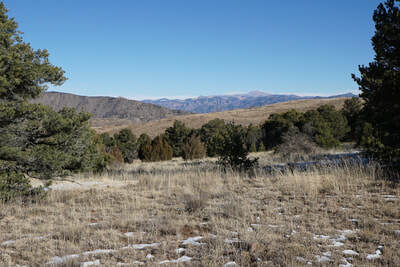 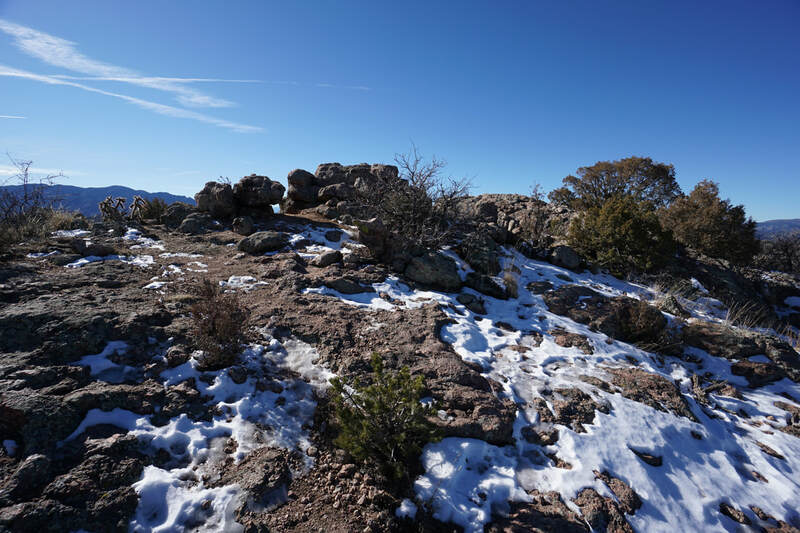 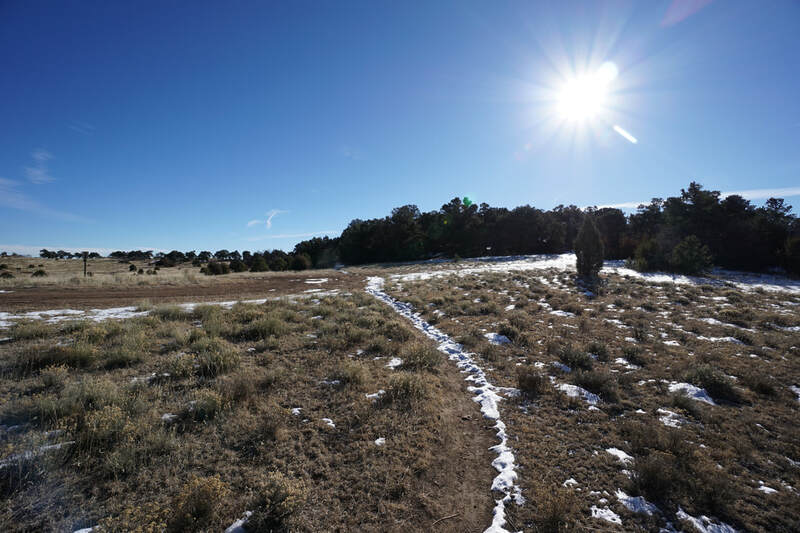 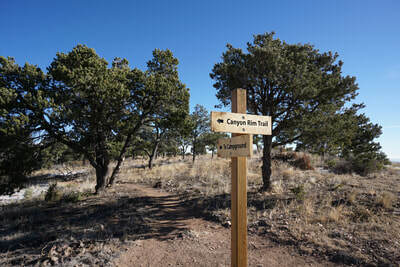 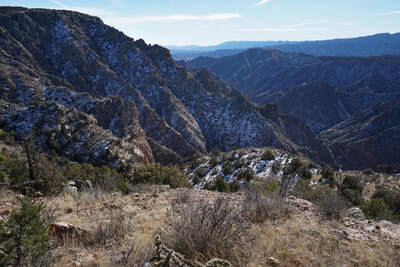 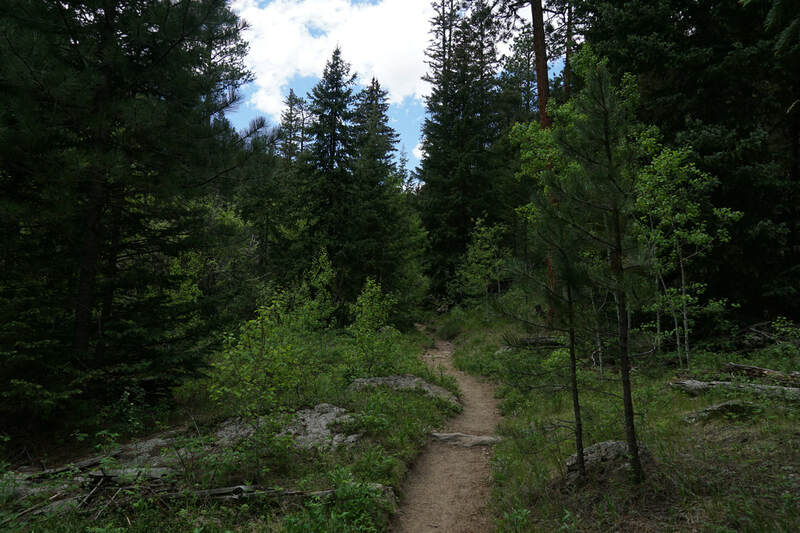 ​The park (managed by Cañon City) has a small system of trails that explore the canyon rim and surrounding hillsides. 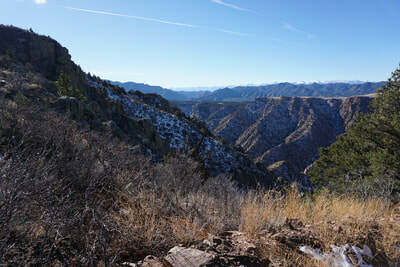 The hiking is relatively easy without a lot of elevation and the views are tremendous. 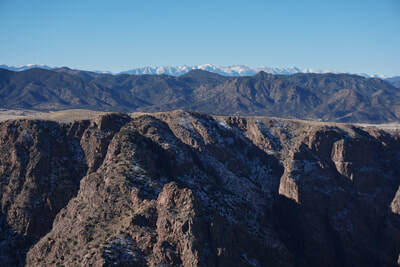 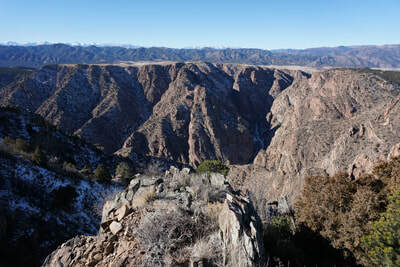 The Royal Gorge is like a smaller version of Curecanti and Black Canyon of the Gunnison National Park. 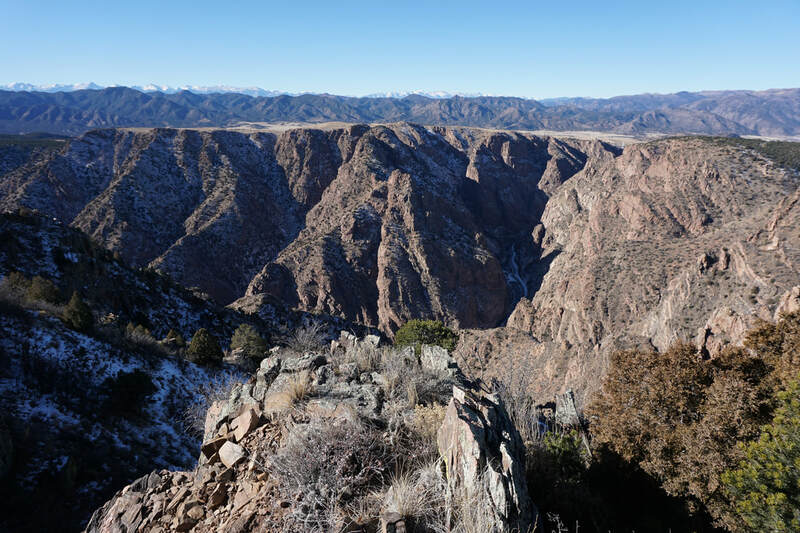 The Gorge is situated at the northernmost point of the Wet Mountain Range so the views of the Gorge, the Wets, and the Sangre De Cristo Mountains looming in the distance are epic. 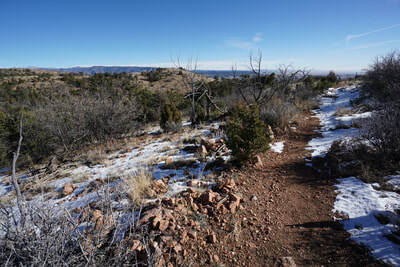 From the trailhead turn left to follow the Canyon Rim Trail (the Overlook Trail is to the right). The trail rolls and meanders through scrub oak, juniper, and spruce for the first half mile until you finally reach the canyon rim and are treated to the epic views. The next .8 miles of the trail follow the rim with various overlooks along the way, including one with a juniper bush decorated like a Christmas Tree. 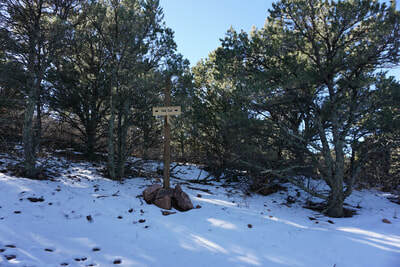 When you reach the first trail sign at about 1.3 miles things get a little trickier, though it's near impossible to get lost if you stay on the trails. At this point the Canyon Rim Trail turns away from the Canyon Rim and heads east to the Campground while another trail (The Far Out trail?) 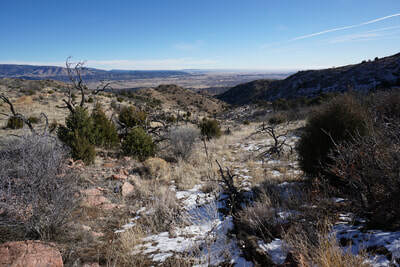 stays along the ridge. 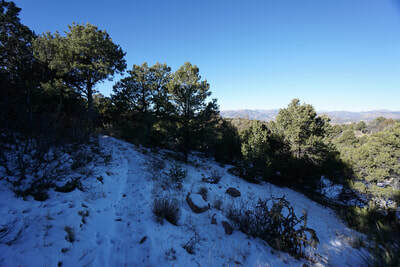 If you follow the Canyon Rim Trail, it leads to the campground and the trail junction for the Cañon Vista Trail. 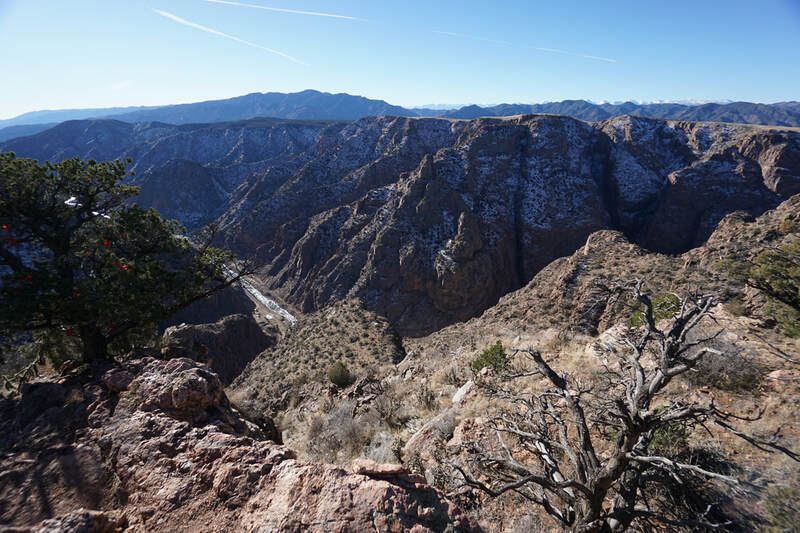 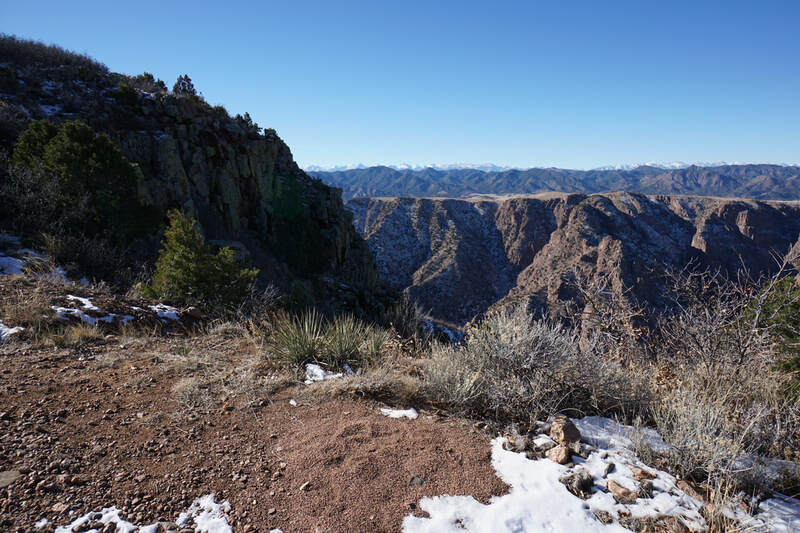 Follow the Cañon Vista Trail to explore eastern side canyons with great views down to Cañon City and to the eastern plains. 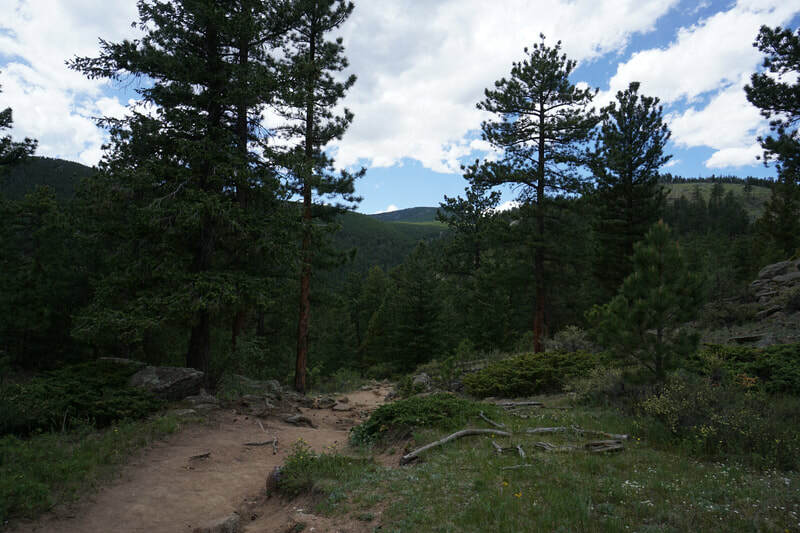 The Cañon Vista Trail will weave back towards the Canyon Rim and meet with the Far Out Trail after a little more than half a mile. 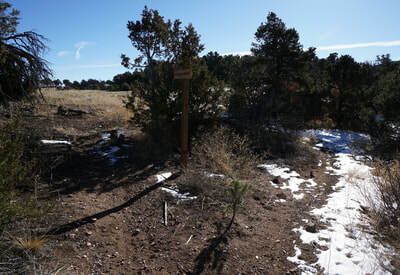 Turn right at this junction and follow the Far Out Trail as it crossed the a dirt road and leads back to the Canyon Rim. 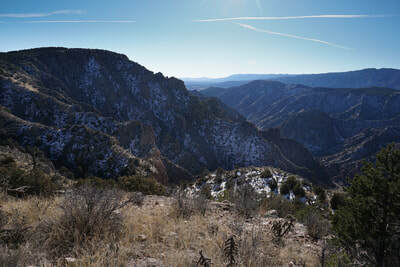 Side Trip: If you want a really spectacular view of the canyon, Turn left on the dirt road and follow it for only a few minuets as it climbs up towards some sheer cliffs. 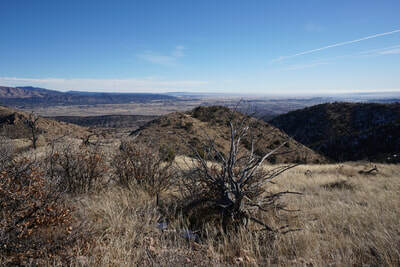 You'll know when the great view when you see it but is at a point where the road turns sharply to the east. 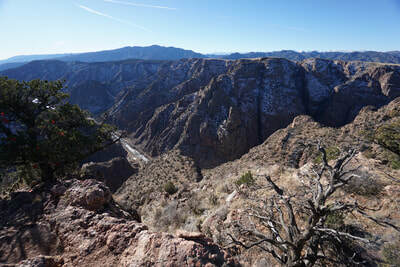 From here, carefully hike off-trail for about 20 feet up to the top of the cliffs for amazing views down into the canyon with the bridge in the distance. Head back along the road and continue on the Far Out Trail. 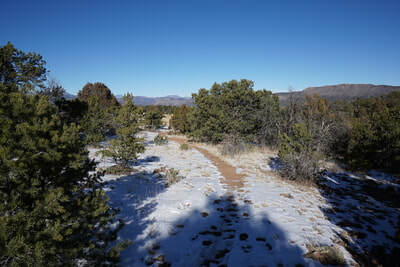 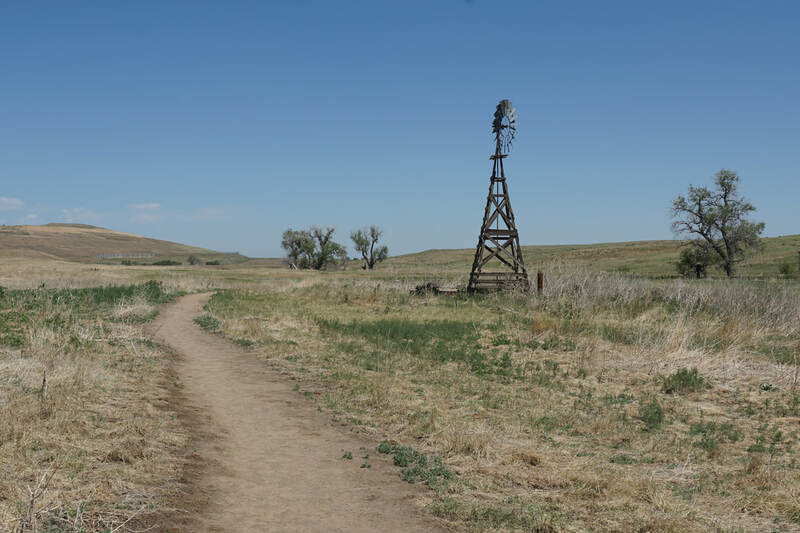 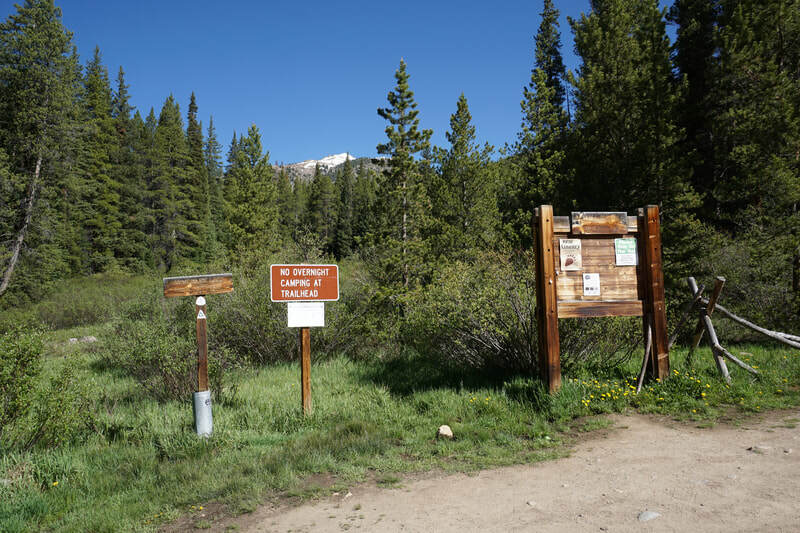 Following the Far Out Trail for another half mile will lead to the Le View Trail Junction and the Le View overlook a few minutes past the junction. 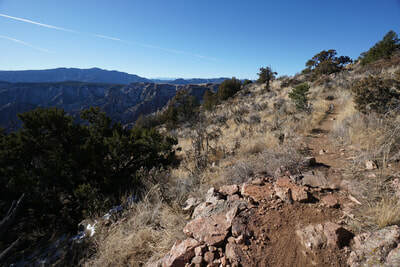 Le View is the main viewpoint for this trail system and it does not disappoint. 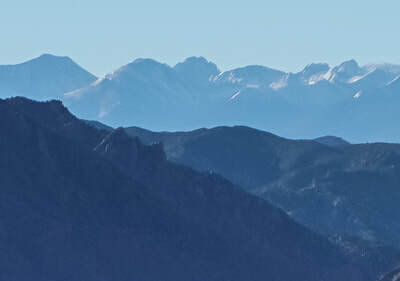 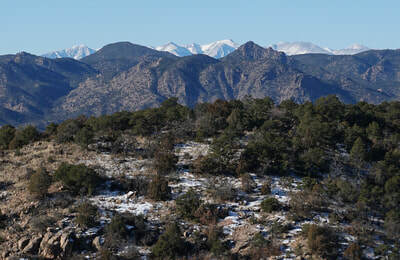 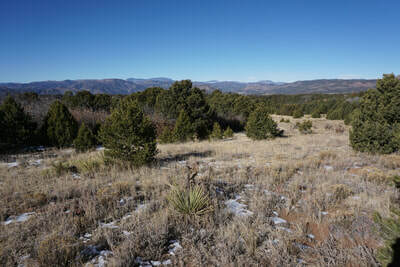 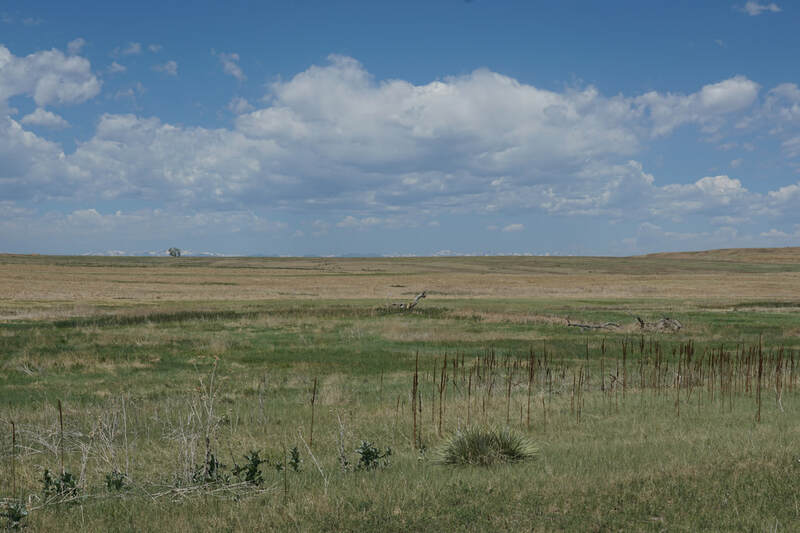 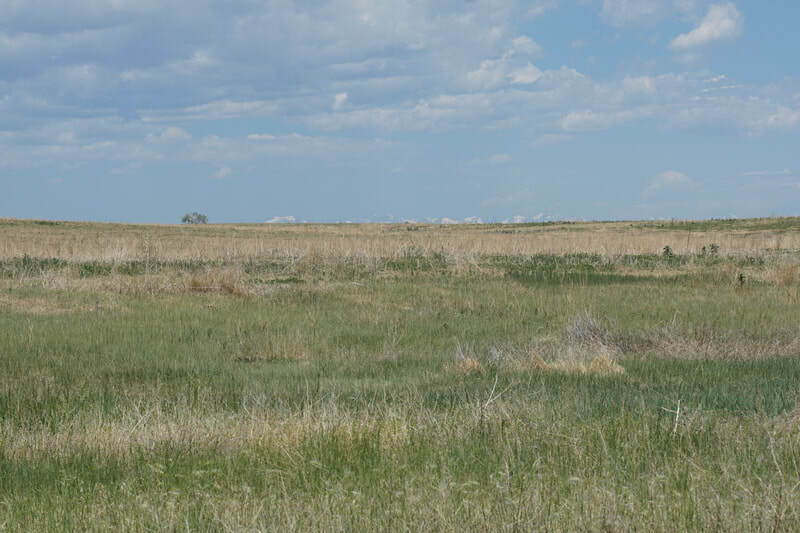 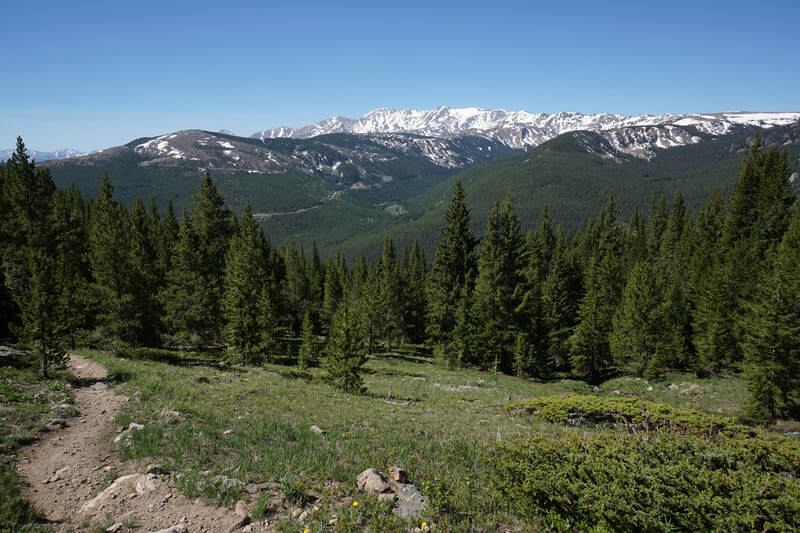 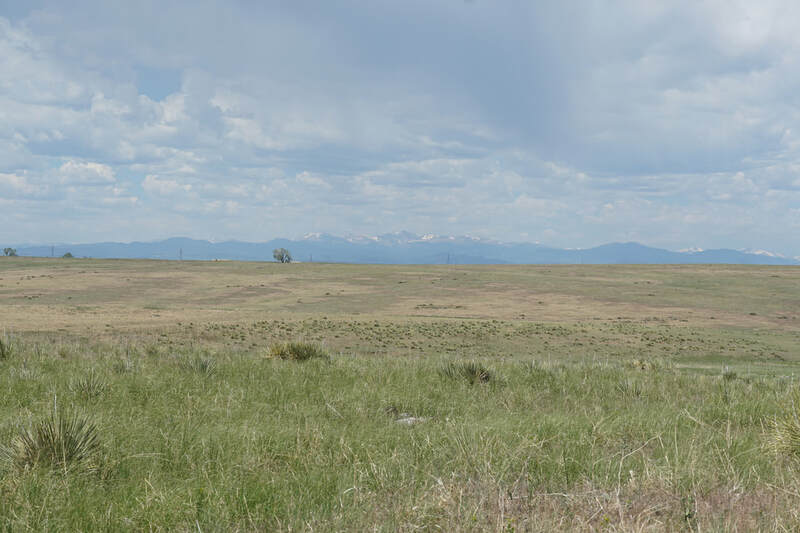 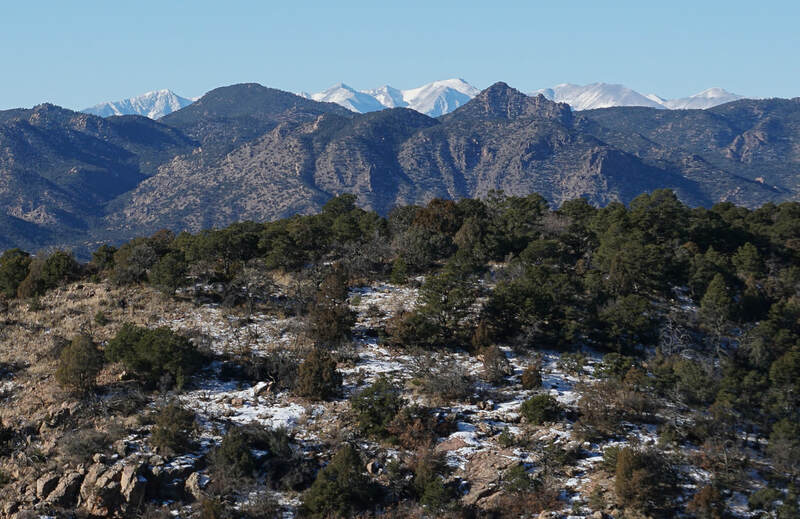 The 365 degree views are impressive and provide views of the Gorge, the surrounding hills, Pikes Peak to the northeast and the Sangre De Cristos in the distance. 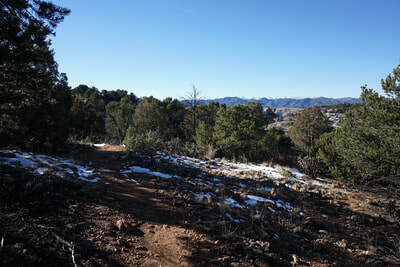 From Le View, it's a little over a half a mile back to the Canyon Rim Trail sign and 1.3 miles back to the trailhead. 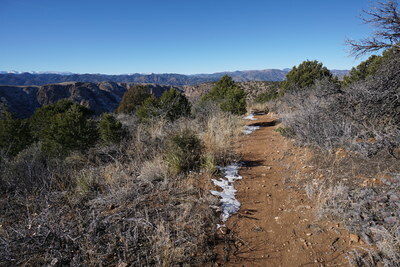 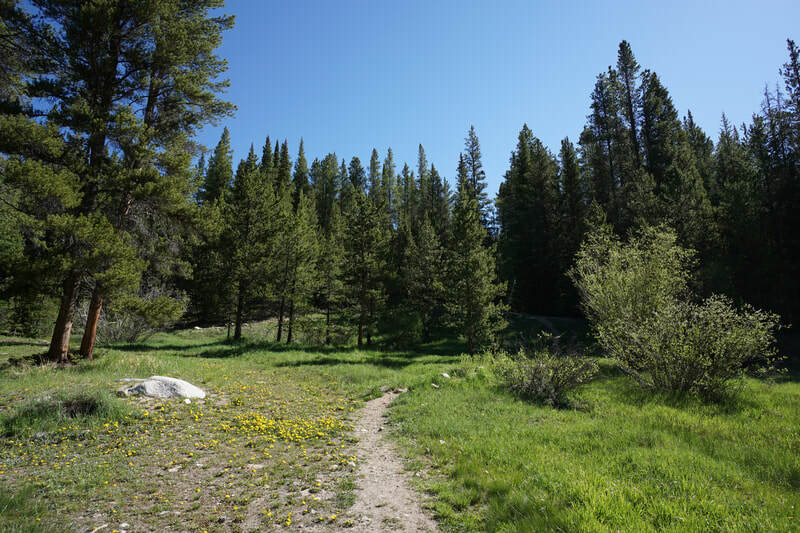 If you want to add a little more mileage to the hike, you can follow the Far Out Trail up towards Fremont Peak instead of following it back to the Canyon Rim. 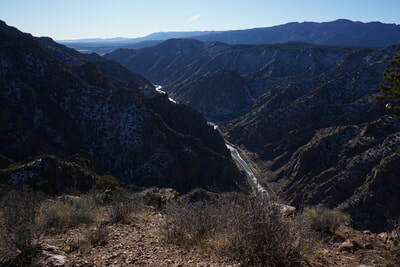 Either way, this is an impressive area and if you time it right you can avoid the tourists and find some solitude along the canyon...and if you are a tourist (welcome!) 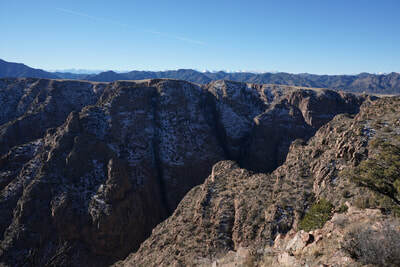 be sure to get out an hike a little before you drive over the bridge, you'll be glad you did!